Current online information environments and the associated social and pedagogical transactions within them create an important information ecosystem that can and should influence and shape the professional engagement and digital scholarship within our learning communities in the higher education sector. Thanks to advances in technology, the powerful tools at our disposal to help students understand and learn in unique ways are enabling new ways of producing, searching and sharing information and knowledge. By leveraging technology, we have the opportunity to open new doors to scholarly inquiry for ourselves and our students. While practical recommendations for a wide variety of ways of working with current online technologies are easily marketed and readily adopted, there is insufficient connection to digital scholarship practices in the creation of meaning and knowledge through more traditional approaches to the ‘portfolio’. A key area in the development of the professional practitioner is the ability to reflect on practice as the basis for learning, with the effectiveness of this practice having been confirmed through research to be linked to inquiry, reflection and continuous professional growth (Killeavy & Moloney, 2010). Reflection can be understood as a process of internal dialogue facilitated by thinking or writing and through an external dialogue and reflection together with others (Clarke, 2003). Reflective practice writing is creative, a way of gaining access to each practi­tioner’s deep well of experience not always accessible to everyday channels and is a valuable mode of expressing, sharing, assessing and developing professional experience (Bolton, 2005). By recognising and taking responsibility for personal and professional identity, values, action and feelings the student undertaking reflection within the constructs of subject and program requirements is demonstrating a willingness to stay with uncertainty, doubt and questioning in order to engage in spirited enquiry leading to constructive developmental change and personal and professional integrity based on deep understandings (Bolton, 2010, p. 7). Knowing what to reflect upon is as critical a part of the educative process as the reflection action itself, perhaps explaining why reflective practice has become a standard in initial and continuing professional education and development. This is a pedagogical approach that draws together reflective practice and reflexivity (finding strategies to question our own attitudes, values and limits of our knowledge – Bolton, 2010) as a state of mind to empower the process of learning. In professional programmes in particular, it is useful if students keep a reflective journal, in which they record any incidents or thoughts that help them reflect on the content of the course or programme. Such reflection is basic to proper professional functioning. The reflective journal is especially useful for assessing ILOs (intended learning outcomes) relating to the application of content knowledge, professional judgment and reflection on past decisions and problem solving with a view to improving them.” (Biggs & Tang, 2011, p.261). It is perhaps simplistic to migrate a pre-digital taxonomy to a digital environment and to ignore the function of and relationship to digital scholarship for the educator or higher education academic. 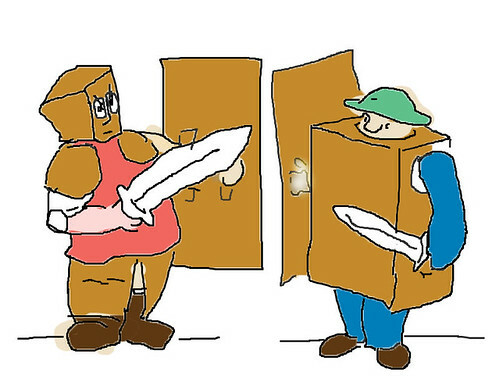 When it comes to online learning, it is understood that interaction with others (peers and instructors) is a highly important variable in successful learning experiences within the online learning environment, particularly when coupled with the need for students to achieve self-regulation between their own knowledge/experiences and the content of a subject (Cho & Kim, 2013). This reflective practice, which assists in assembling knowledge and experience in meaningful ways, can be facilitated by the use of an ePortfolio, and may facilitate independent learning, development of identity, a sense of empowerment, greater awareness of self, and promote active engagement in future oriented professional practice (Rowley & Munday, 2014). The digital information environment in which an ePortfolio is situated is one that demands a new knowledge flow between content and digital connections. While academics may consider themselves to be pedagogically driven in their learning and teaching, the availability of technologies to support different models of learning strongly influences what kinds of pedagogies will now emerge in terms of course content, subject dialogue and conversation. As McLuhan (1964) first argued, technologies also influence and define the usage, in this case the pedagogy instantiated in the learning and instructional designs (Anderson & Dron, 2010). Academics (as teachers) need to support and nurture learners to learn within connected and collaborative learning environments, to lead purposeful and corrective discourse in relation to multiple information environments as part of the construction of meaning and understanding (Garrison, 2015). Anderson, T., & Dron, J. (2010). Three generations of distance education pedagogy. The International Review of Research in Open and Distributed Learning, 12(3), 80–97. Biggs, J., & Tang, C. (2011). Teaching for quality learning at university. Open university press. Bolton, G.(2005). How to begin writing. In Reflective practice: writing and professional development (2nd ed.)(pp. 141-162). London, UK.:Sage. Bolton, G. (2010). Reflective practice: Writing and professional development. Sage publications. Cho, M. H., & Kim, B. J. (2013). Students’ self-regulation for interaction with others in online learning environments. The Internet and Higher Education, 17, 69-75. Clarke, M. (2003). Reflections: Journals and reflective questions a strategy for professional learning, NZARE/AARE Conference. New Zealand. Garrison, D.R. (2015). Thinking collaboratively: Learning in a community of enquiry. London: Taylor & Francis. Killeavy, M., & Moloney, A. (2010). Reflection in a social space: Can blogging support reflective practice for beginning teachers?. Teaching and Teacher Education, 26(4), 1070-1076. Rowley, J., and Munday, J. (2014). A ‘Sense of self’ through reflective thinking in ePortfolios, International Journal of Humanities Social Sciences and Education, 1(7), 78-85. It is really the combination of computing technologies with communication networks that has formed the basis for the digital revolution we are now living in. The internet and digital connections has taken us to a world where billions of people are connected, billions of emails are sent over this network every day and hundreds of millions of people search Google and other search engines for information spread across the plethora of web pages and institutional repositories around the world. So thinking laterally is probably becoming an essential feature of every educators toolkit. But what do I mean by this? Well, I don’t have all the ideas, but thankfully my personal learning network and my information feeds keep me in touch with the possibilities. So you know about the Internet Archive, right? My visit today tells me that there have been 484 billion web pages saved over time. There are many options for how to use the Internet Archive (so do check these out). Wayback Machine Availability API Build your own tools. Save Page Now Capture a web page as it appears now for use as a trusted citation in the future. Only available for sites that allow crawlers. Something I wanted to share from a while ago was Alan November’s post on the Wayback Machine, which he called The Essential unique search tool your students may have never Used. The Wayback Machine is as basic a reference tool for the Internet Age as a dictionary. When was the last time you saw a student use it? Alan tells the story of his conference presentation, and the reality check that he offers the audience in terms of digital identity and digital information stored or deleted?? on the web. The Internet Archive, a nonprofit organization whose mission is to index the Web, runs the Wayback Machine. Since its launch in 1996, the Wayback Machine has saved more than 466 billion web pages and counting—including many pages their owners believed (or hoped?) were long gone. Students are shocked to learn that it’s so simple to recover lost links. This is like knowing there’s a dictionary when you’re learning to read. It is that basic and that important of a reference tool for the Internet Age. Best get busy and share this information with your students and colleagues – many will not know! Long before Oculus Rift and MMORPG games existed and way before high-quality graphic cards and roaring sound effects were around there was another type of game genre. DOS. And depending on your age (hello, early 1980s) you may have even played DOS games as a kid. Fortunately for those who like to wax nostalgic the Internet Archive has released nearly 2300 MS-DOS PC games that you can play directly from your browser. Hurray! There are mountains of old favorites in the release. All DOS games are played through DosBox, which streams to your local computer. This makes it easy to search for a game and then click to play once it’s loaded. All DOS games are emulated—command prompts and boot screens—and one important thing to keep in mind is that you can’t save gameplay. Because it’s running as a virtual machine (of sorts) once you close your browser tab/window the game is over and you’ll need to start from the beginning (boo). So what we are seeing here is a way to look backwards, digitally, while we move forward. How we think about our place in the world has been transformed through revolutions of ideas from big thinkers such as Galileo, Darwin and Freud. Philosopher Luciano Floridi, Oxford University believes that we are now into a new revolution in the mass age of information and data. Before you go deeply into any of his academic work, let’s put his thinking into context – with this cheesy video! If you don’t do it, it doesn’t exist! I admit, I’m a little late to the party, and my recipes are simple to say the least. But you know, one of the very best things about learning and working with students and fellow educators is always being fortunate enough to find more to learn! 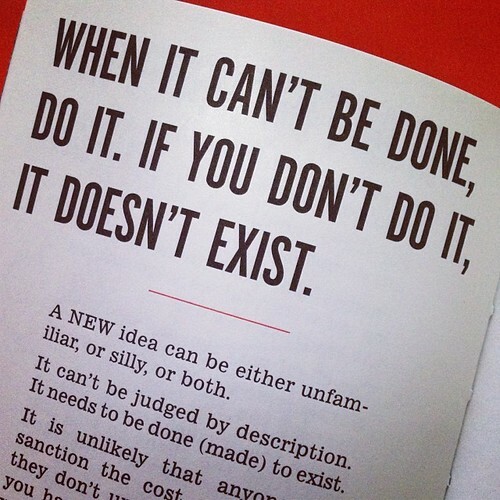 There is no shortage of ideas that can be done. My main work is with professionals – teachers in schools and post school settings. So we are not talking new learners! Now I don’t buy the digital native argument for a minute, but I do wring my hands in despair at educators who don’t keep their minds and hearts open to exploration, innovation, and learning in whatever way is needed to ensure that the role we play as an educator is guaranteed to be useful – even if only in a very small way. Yet I understand things not always coming easily. If you can’t ‘find the URL’ to a item, I’ll help you learn (yes, I still get asked that question). But I’d much rather you asked me a complex question about professional practice, information curation, or ways or managing information flow. Why? Because these are some of the key challenges for educators. So back to that basic recipe I mentioned – yes, I finally faced up to the fact that I NEED to be using IFTTT for more effective information gathering as part of my subject delivery processes. I have my colleague Dean Groom to thank for the final push. We’re playing in INF541 Game Based Learning, a subject which Dean is teaching after heading the writing team of Groom and O’Connell again. Wow, the years have flown since we got into online environments and virtual worlds with our small books back in 2010. But nothing has changed since then. Still learning. Dean showed me how to set up IFTT to gather a running record of what’s happening in our subjects, and how to push that information back out as part of our participatory learning experience. IFTTT empowers you with creative control over the products and apps you love. Recipes are simple connections between products and apps. I knew this, and until now the only recipe I had running was an email of a new recipe to me each week. But I never did anything else. Dreadful. The amazing thing is that IF Recipes run automatically in the background. Create powerful connections with one simple statement — if this then that. So now I am using three recipes, taken from shared recipes available at the site, and also one customized by Dean. Collecting all the tweets with the subject #hastag in a Google spreadsheet. Sending back to twitter the new posts that turn up in the Google spreadsheet. This is all automatic. What does this allow? Now we have the opportunity to quickly confirm (or otherwise) the extent of a students actual participation in the back-channel as part of the course experience – a vital part of monitoring student engagement and program effectiveness. There are many other formal channels, of course, but the social media aspect was one that I was never quite happy about. Our modern-day information processing is both careless in how it is consumed and how it is related back to others: rarely do we intentionally seek out an article, comb through it, and then selectively disperse it to an appropriate recipient. Rather, we come across it online, skim the headline or sound bites, and blast it indiscriminately via social media. The complexities of information behaviour are so important to understand and be responsive to. What can we hope to do about this, or what is being done? After all, you could say that digital technologies tend to outsource much of what could potentially be reflective thinking to an external device that provides a quick, pre-formed answer! Recently, for a story that I was writing, I researched intelligence in crows. So my first stop was to type ‘intelligence and crows’ into Google. I was instantly offered 8,180,000 links. At 5 seconds per hit, working 12 hours per day, it would take about two and a half years to check them all. Everyone can surf the Internet, but librarians can do it effectively. Since I am more interested in using information than finding it, I will continue asking librarians for help. Yes! Information seeking, and good information behaviours will continue to involve quality curation and equally open information dissemination processes. Two reports I picked up this week add to my pool of readings to help with my thinking about the information era dilemmas. We have to nurture the ability to read – and read well! Measuring the impact of thousands of libraries across multiple countries is quite a formidable undertaking, but with support from the Bill and Melinda Gates Foundation, an external research team examined from Room to Read examined libraries in Laos, Nepal, India, Sri Lanka, Zambia, and South Africa. To establish a baseline, they began evaluations at the schools before a Room to Read library was established and tracked progress in reading habits over the course of two years. The most exciting takeaway from the study is that they have been able to confirm empirically that libraries are helping children become independent readers. Read the full report summary. So let’s focus on technology and supporting services. Libraries are a significant focus point in our communities, and technology is the other. As we invent more technology and forms of media, we also need to reinvent our community interactions as virtual and physical spaces of exchange for cultural and knowledge development. Libraries can continue to lead the way in this – from the national services to the quality services in your small local school library. Building reading along with development and refinement of information seeking strategies and long term information behaviours, educators and organisations need to remain open and responsive – skipping the fads that are not supported by research and proven to stand the test of rigorous investigation. The good news is that libraries are morphing. Read the Near and Far Future of Libraries .As archives become digital and machines become smarter, what function will libraries serve ten years and ten thousand years from now? See what some interesting experts had to say! Our priority has to be our connections, and creating a flow of knowledge for all ages, across communities, nations and people. Our connections and the flow of knowledge is vital through building on critical thinking, communication, collaboration, and creativity. If you love something – set it free! Teachers often mention to me how difficult they believe it is to keep up-to-date with current quality research and information. Of course, it isn’t – but only if you have developed a robust strategy for accessing and managing an information flow relevant to your own professional management and learning needs. Even before all the amazing tools at our fingertips today, I was able to stay ‘in touch’ thanks to the amazing Scout Report. Back in the pre-RSS days, this report provided me with material I could easily share with school staff in my own edited weekly newsletter. I still subscribe to the scout report, and occasionally snag a piece of information to share. What is the Scout Report? The Scout Report is the flagship publication of the Internet Scout Research Group. Published every Friday both on the Web and by email subscription, it provides a fast, convenient way to stay informed of valuable STEM and humanities resources on the Internet. A team of librarians and subject matter experts selects, researches, and annotates each resource. Published continuously since 1994, the Scout Report is one of the Internet’s oldest and most respected publications. Organizations are encouraged to link to the Scout Report from their own Web pages, or to receive the HTML version of the Report each week via email for local posting at their sites. Organizations or individuals may also use the sharing options after each annotated resource to email the resource or share it via social media. The editors of the Scout Report take great pride in finding and sharing the best free Web-based resources we can find. Each week, the Scout Report’s editors select and annotate approximately eight websites or online resources in each of two categories: Research & Education, and General Interest. Websites in Research & Education tend to focus more heavily on STEM subjects, while those in General Interest span a range of arts, humanities, and curiosities. Visit the Internet Scout at https://scout.wisc.edu/ and find out about all the projects and publications. The Scout Report Archives collects and catalogs each annotated resource featured in the weekly Scout Report and special issues. Users may find resources of particular interest to them using a keyword search, an advanced search, or by browsing by Library of Congress subject headings. Past issues of the Scout Report are also available for users to browse at their leisure. These past issues are available chronologically by date. This issue is located https://scout.wisc.edu/report/2014/1212The email version provides the linked summary followed by annotations. You should consider signing up, if you haven’t already done so! 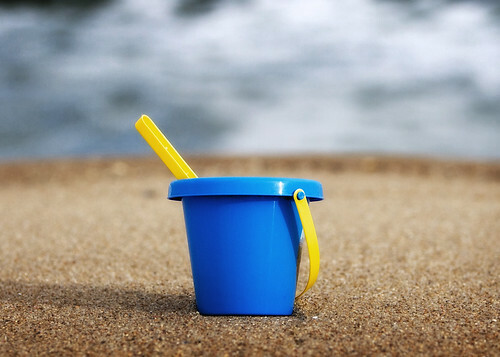 It’s summer here in Sydney, and anyone with any sense is flipping in the water or scooping sand at the beach. I’m not so lucky, being wired to the world via my workdesk. But like many of us I am not alone, and for that reason curating content to revisit, and share along the way is part of what I do. In the social media sense, content curation is the organizing, filtering and “making sense of” information on the web and sharing the very best pieces of content with your network that you’ve cherry picked for them . It comes down to organizing your sources, knowing which of them are trust worthy, and seeing patterns. second level curation: curating content for others via targetted tweets or Google+ circles, Facebook pages, Facebook groups, wikis, livebinders, etc. (Does Paper.li fit in here seeing as it is automated? ), so sharing at this level is a direct extension of the first level of personal curation. While we’re dismantling traditional structures of distribution, we’re also building new forms of information dissemination. Content is no longer being hocked, but links are. People throughout the network are using the attention they receive to traffic in pointers to other content, serving as content mediators. Numerous people have become experts as information networkers. Now I can use all my social networking resources and return information back to my social community at the third level of curation. Social content curation is about collecting, organising and sharing information – in a new package. I’m no archivist. But I am a digital curator of information for myself, and perhaps for others. Back in 2011 I said that I was interested to see how (what I call) the third level curation evolves. I like the idea of socially connected ways of publishing ‘what’s new’ and ‘what’s newsworthy’ as an ‘aside’ to my ‘go-to’ information repository such as my social bookmarks. I wrote about Scoop-it, and for quite a time I used Scoop-it quite successfully – for my own purposes and to follow other ‘scoops’. In 2014 I have largely abandoned Scoop-it – and that is BECAUSE of the way it shares information! I am totally and completely fed up with finding an interesting recommend in my FB page or in my Twitter feed (as and example), from a trusted Scoop-it curator. I completely detest that I HAVE To go to the Scoop first, and THEN to the actual recommended read. This annoys me so much, that I have abandoned using the tool myself so as not to annoy my curation followers in the same manner! If you use Scoop-it and I see your recommend in my media stream – I’m most likely going to ignore it! Now I am using Flipboard, because it does the same job, in a much nicer format, PLUS it doesn’t force a user back to the whole board. Millions of people use Flipboard to read and collect the news they care about, curating their favorite stories into their own magazines on any topic imaginable. Thousands are using it to create fantastic education resources. This is magic! If someone is keen to join or follow a Flipboard, then that’s great. But in the meantime, we have a perfect tool at our disposal to create a collection for targetted needs. I’m still experimenting – but I think it’s a great tool. Reference: Boyd, D. (2010). Streams of Content, Limited Attention: The Flow of Information through Social Media. Educause Review, 45(5), 26-28. It’s Monday morning, and as I sit down for my morning cup of tea and toast, I open my iPhone to see what’s in my email, and what items in my calendar will need my attention. I can take a little time over this, as I don’t have a long commute to work ahead of me, though I will ‘commute’ across the country (online) while I collaborate with my colleagues on curriculum standards and content alignment in the work we are doing for the new degree. Next, as I flicked through Twitter (because I like to do that, and because it’s an important information tool) I stopped – and sighed at the struggle still before us of convincing teachers in K-12 schooling that they have to keep up! Well, there are lots of things they need to keep up with, and their own knowledge discipline is not what I’m talking about. I’m talking about information flow – the stuff of our knowledge networks, and the fabric of our connected lives. I suspect that I don’t take my information flow nearly as seriously as I should. But at least I try! You should try too! We know that there is a lot happening, and that there are various ways of responding to the speed of info-change. Putting your head under a rock is not one of them! I’ll admit it! Sometimes I’m a bit slack and while I endeavour to manage my information well sometimes I just can’t be bothered. So now I think I have the answer “extreme curation for slackers”. Our Edublogger guru Sue Waters provides us with the brilliant Flip-aholic’s Ultimate Guide to subscribing and sharing. Workflow, for a whole range of professional needs and personal pleasures, is constantly being disrupted lately as tools and processes morph daily or my understanding deepens of what is possible. 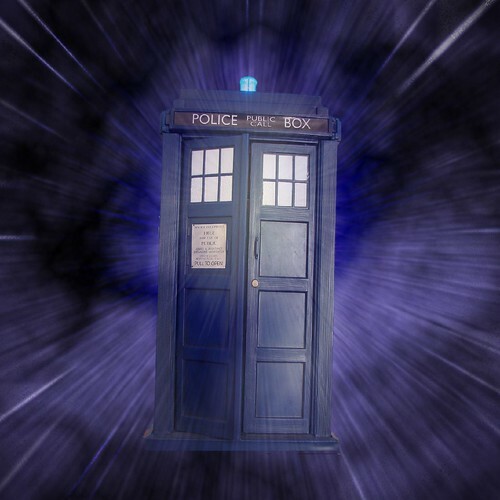 If you are involved in education in some way and you’ve still got people who believe that email, google searching, and journal subscriptions are ‘the go’, then you’d better scramble into your Tardis and get to a timezone that’s relevant to the needs of students today.